Want French Gold Coins? Well, Golden State Mint has them! 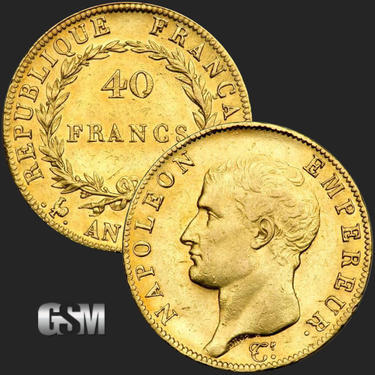 These fantastic 40 Francs Gold Napoleon coins have a gold content of .3734 troy ounces, with a purity of .900, a thickness of 1.66 mm, and a diameter of 26 mm. 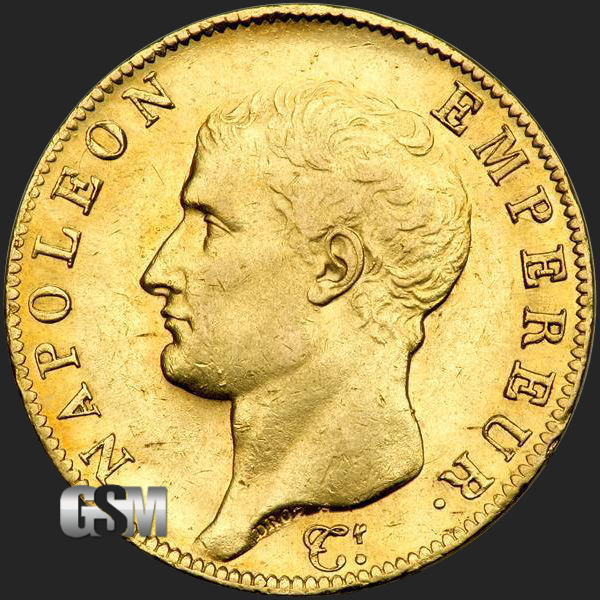 This amazing coin was struck during the reign of Napoleon Bonaparte, who was the founder of the Bank of France and a staunch advocate of gold as opposed to government issued, unbacked paper money. The engraver for this coin was Pierre-Joseph Tiolier. The obverse of the coin features a left-facing portrait of Napoleon, with the words “Napoleon Emprereur” circling his head. The reverse has “40 Francs” in the center of a wreath, while “Republique Francaise”, and “..AN 13..A.” are written around the outside of the wreath. 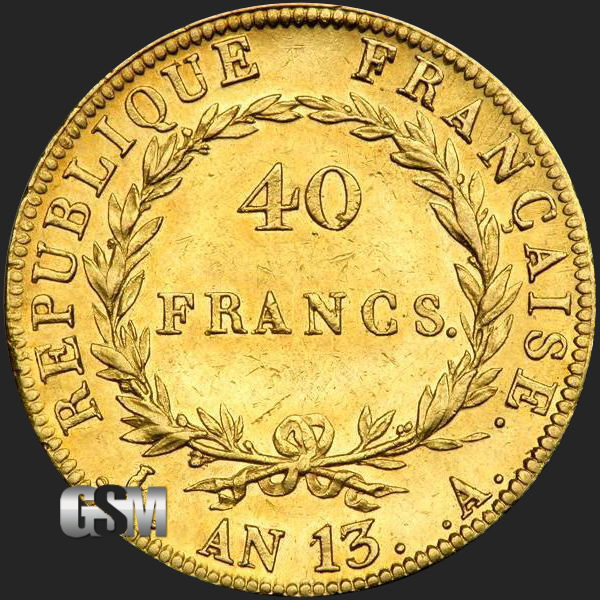 The “..AN 13..A.” refers to the year the coin was struck, and uses the French Revolutionary Calendar system. The year 13 would have started on September 23, 1804, and ended September 23, 1805. These coins come in a protective plastic flip*. It is not often we can grasp history, and this 40 Francs Gold Napoleon coin offered by GSM gives us a tangible hold. *These coins have been in circulation.